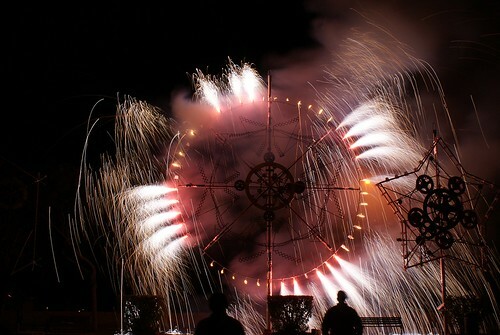 The mechanized ground fireworks festival has been an important part of the Fiesta celebrations to be held in Malta. The competition between the factories has always been fierce and it is a matter of intense pride to win the award for your own factory resulting in the competitors striving for excellence every time. The setting up of the Fest Ta Nar (fire festival) takes the majority of the day to complete as in addition to the usual set up of the fireworks there is a great deal more intricate and complicated parts to ensure are in working order and are connected to the relevant effect. The maximum dimension of the wheel must be no more than 30 feet across. They are a complex fusion of levels, gears, wheels, chains and links resulting in 3D movement with the ability to open and close, rotate and move forth and back too with added pyrotechnics. 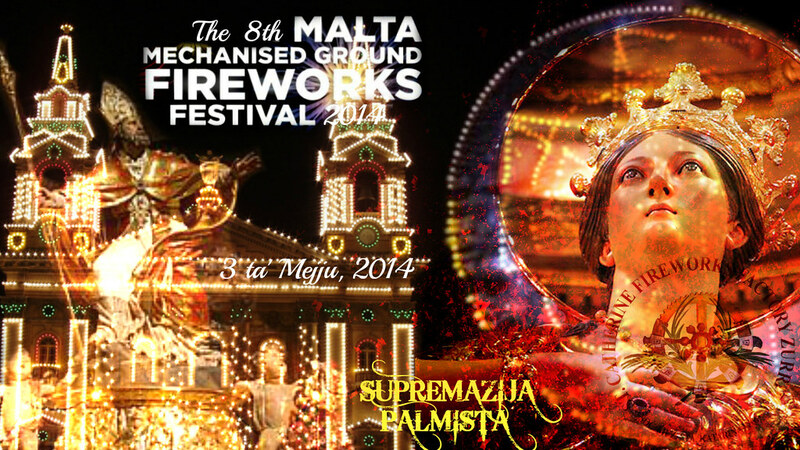 There are 30 firework companies on the Island and pyro remains at the very heart of the people of Malta and have been since the very early part of the 11th century when they were intrinsic to celebrations. For the most part there would have used cannon and musket fire and the sound of the explosion of crackers in quick succession as an expression of joy/celebration and over the years this grew into an event which now include the ‘Malta International Firework Festival‘, a competition which takes place each Saturday including 9th, 16th, 23rd and 30th April 2016 in a number of locations across the Island. Here is a taster of some of last year’s examples of engineering and pyrotechnics coming together to create beautiful effects.